Closing Date: Open - The City of Peñitas accepts applications Volunteer Firefighters on a continuous basis. Protects citizens during emergencies by extinguishing fires; executing rescues; mitigating chemical spills.The job has no supervisory responsibilities. Individual will be performing other duties assigned by supervisor/department head when needed. 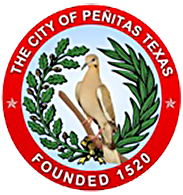 **Resumes and Applications will be accepted online at www.cityofpenitas.com or in person at 1111 S. Main St, Penitas, TX 78576. Call (956)454-7213 for further information.